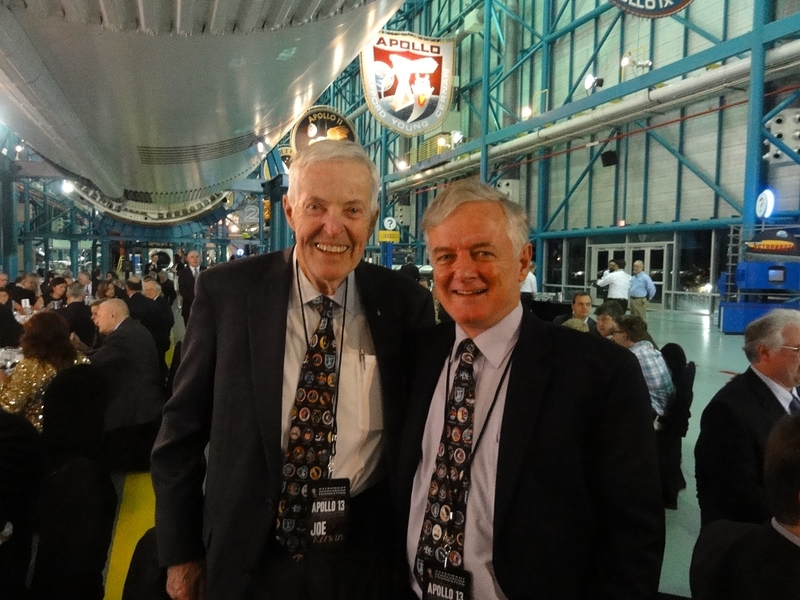 On April 11, I attended the Astronaut Scholarship Foundation’s Apollo 13 45th anniversary dinner and forum at the Kennedy Space Center (KSC), Florida. The function began with a cocktail party at the Hilton Cocoa Beach Oceanfront attended by over 100 people. 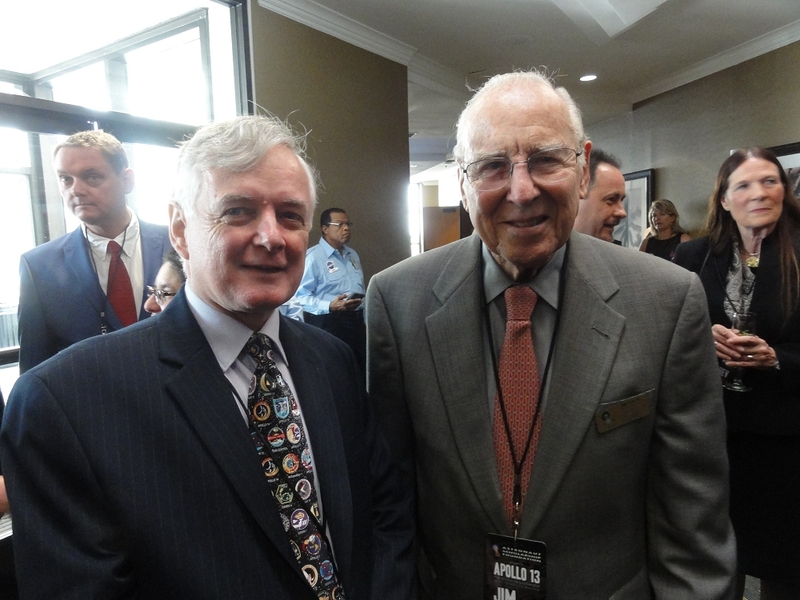 It was an initial opportunity to meet up with Apollo 13 Commander Jim Lovell, Lunar Module Pilot Fred Haise (Command Module Pilot Jack Swigert died in 1982), Flight Directors and others. We then boarded three buses for the trip to the Apollo/Saturn V Center just north of KSC’s Vehicle Assembly Building at Launch Complex 39 from where Apollo 13 departed for the Moon 45 years earlier to the day. 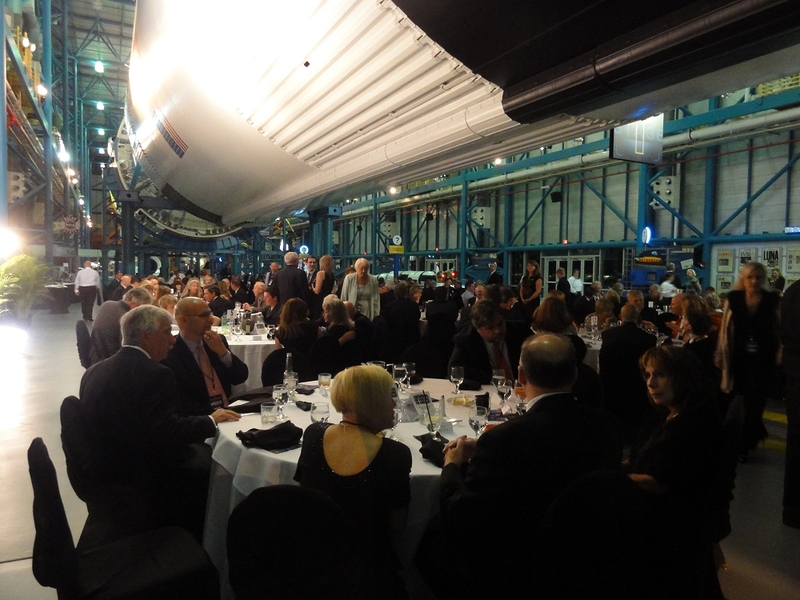 After a photography session, we all dined under a Saturn V launch vehicle. 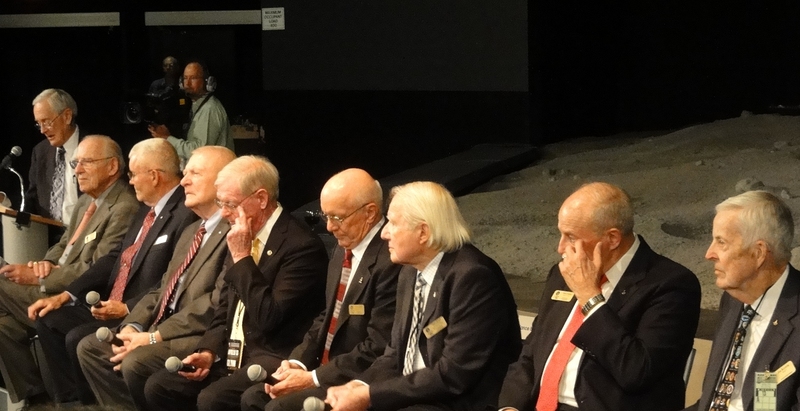 It was a Who’s Who of space personalities, including KSC Director and space shuttle astronaut Bob Cabana, various other Gemini, Apollo, Skylab and space shuttle astronauts, including Apollo 10 and Apollo Soyuz Test Project Commander Tom Stafford, Apollo 11 Lunar Module Pilot Buzz Aldrin, Apollo 16 Lunar Module Pilot Charlie Duke, and many others. 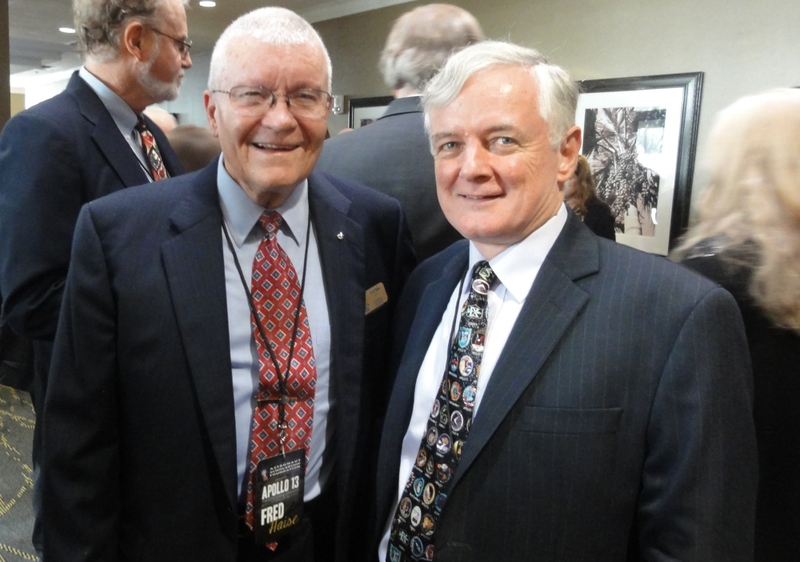 It was particularly nice to meet up again with Skylab Science Pilot Joe Kerwin, who I had many dealings with decades ago. 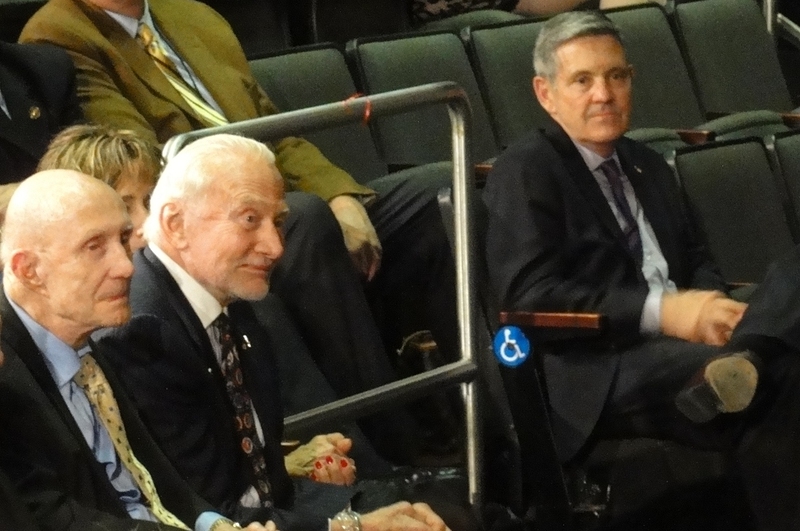 There were also opportunities to chat with Neil Armstrong’s older son Rick and Al Shepard’s eldest daughter Laura. After the dinner’s main course we moved to the Lunar Theater for an excellent panel discussion. 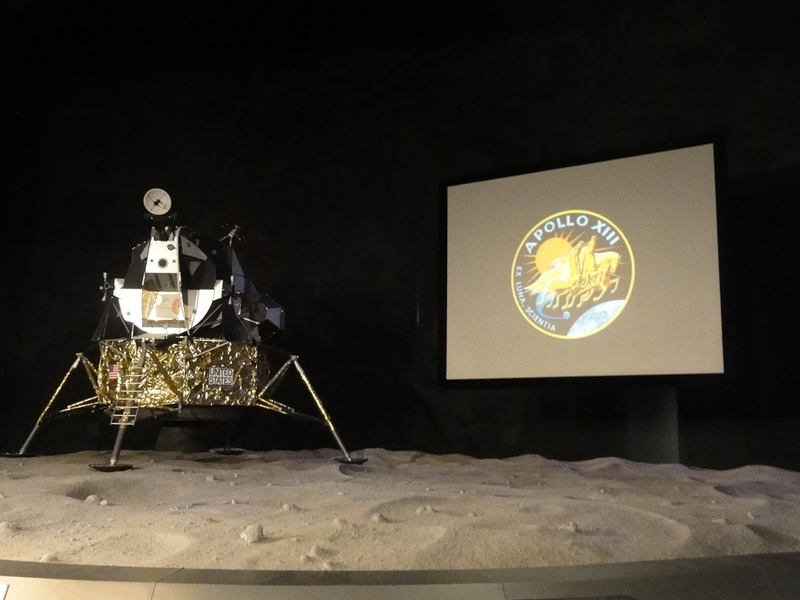 It was moderated by Charlie Duke (Apollo 13’s backup Lunar Module Pilot) and involved Apollo 13 crew members Jim Lovell and Fred Haise, flight directors Gene Kranz, Glynn Lunney and Gerry Griffin; and support crew members Vance Brand, Jack Lousma and Joe Kerwin. Below – Apollo 10 Commander Tom Stafford, Apollo 11’s now-bearded Buzz Aldrin and KSC Director Bob Cabana. This entry was posted in Uncategorized and tagged Apollo, Moon. Bookmark the permalink.